Did you know that cockroaches are one of the most common pests found in commercial premises whether it be the common cockroach or the pesky German cockroaches. Unfortunately for us cockroaches have been around since the dinosaur era and will continue to be one of pest controllers worst nightmares. Whether you own a hotel, restaurant, factory, warehouse, or café you will at least come into contact one time with these bacteria, germ infested critters. 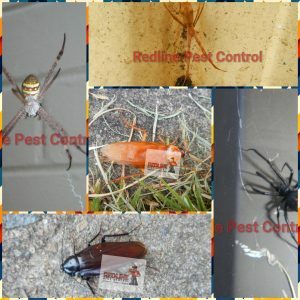 Redline Pest Control understands how important it is the get a hold of the breeding cycle of all species of cockroaches, we first inspect, identify, and then treat your commercial premises. 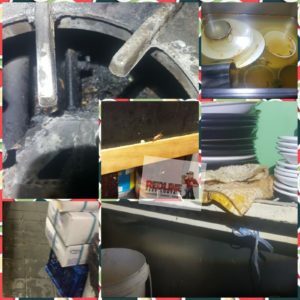 Redline Pest Control will take any precautions as we know that health and safety is the number one goal when obtaining effective pest control. Fortunately for our clients there is no odour when we carry out pest treatments internally and a very low odour for completing pest control externally. Here at Redline Pest Control we alternate between products so cockroaches don’t build up an immunity and will we be able to effectively reduce the population and breeding cycle of the cockroach. What are some signs that could lead to an infestation of cockroaches? Live active cockroaches running around especially in the day time as they are nocturnal. Droppings/smearing marks around electrical appliances, walls, cupboards and behind furniture in your premises. Egg casings whether they have eggs or not. A distinctive smell in the affected areas. Cockroach carcass when they molt. Damage to electrical appliances as they chew through wiring. What could happen if you don’t get the cockroach issue at hand? If you are in the food sector you really must read this part as this is vital to know especially if you are new to the food industry. Cockroaches carry a bacteria that can be harmful to not only yourself but to your potential clients. Cockroach droppings contain the Staphylococcus, Salmonella, and streptococcus virus. 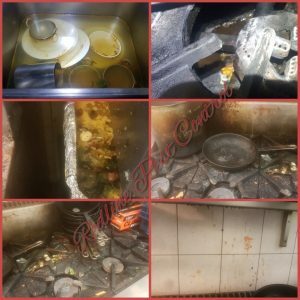 Loss of business when a customer sees cockroaches in your premises? If council comes in you could get a fine and be placed on the NSW food registry. May need to change electrical appliances as the cockroaches have chewed through them. What are some things you can do before we get to your commercial premises? Prevent harbourage spaces. 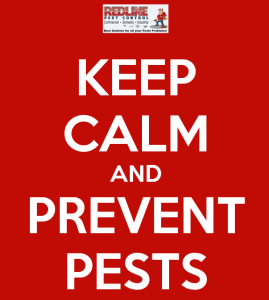 Remove any clutter, boxes, and any other items where pest can hide. 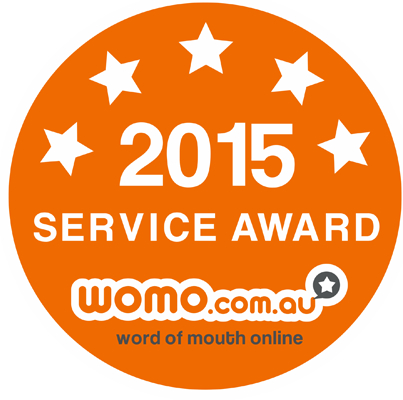 What we do when we get to your commercial premises? 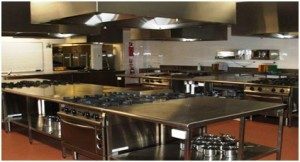 Inspection – Your technician from Redline Pest Control will go around your premises and inspect all areas even those areas which have no issues with pests. 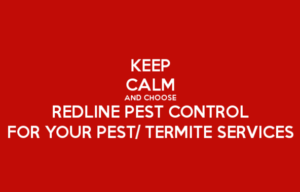 Identification – Redline Pest Control technician will identify any pest which they have found in or around your premises. Threshold of pest – Your Redline Pest Control technician will determine the threshold level of pests which are residing in or around your premises. 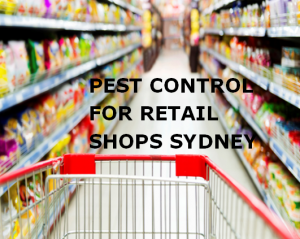 Control measures – To control and manage all levels of infestations of pests which are in or around your premises. Evaluation – Your Redline Pest Control Technicians will evaluate the effectiveness of each service which is carried out and will eliminate any pests in or around your premises. Did you know that pests in commercial food industries not only will lose clients but also breach health and safety regulations here in NSW. German cockroaches are the most common pest problem when it comes to the food sector. Normal common cockroaches will breed every six weeks and will usually have between five to 12 baby cockroaches wherefore the German cockroach will breed every six weeks and will have between 40 to 50 baby cockroaches, so you can imagine for every female German cockroach you have an infestation very quickly. 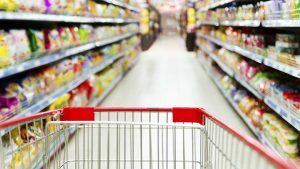 Unfortunately, commercial food industries are a favourite place for German cockroaches as they provide an adequate source of food. With the high moisture and warm electrical appliance this makes German cockroaches thrive. There are three things that must be done to ensure commercial food industries remains German cockroach free. Firstly, ensure that all food is to be kept in airtight containers and put away in the appropriate places. Next, at the end of each day make sure that you have a cleaning check list in place for both yourself and your employees. Clean outdoor eating areas daily and be sure to remove any crumbs and leftovers that will attract pests. Finally, always be on time for your pest service as you don’t want an outbreak of pests in your commercial food industries as this will deter any potential customers and the power of social media these days could ruin your business.